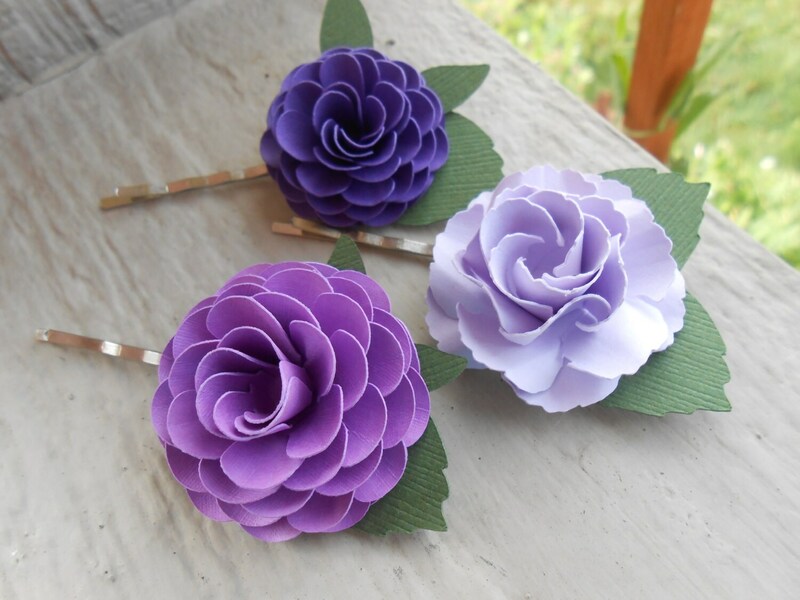 These gorgeous paper flowers are just perfect for a bride, bridesmaid, flower girl or even for everyday wear! 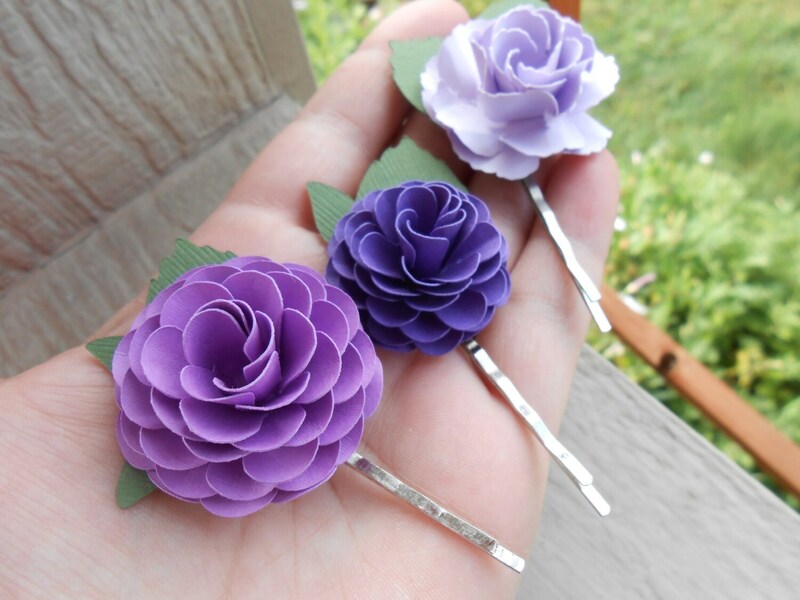 This listing is for a set of three bobby pins, in the colors of your choice. 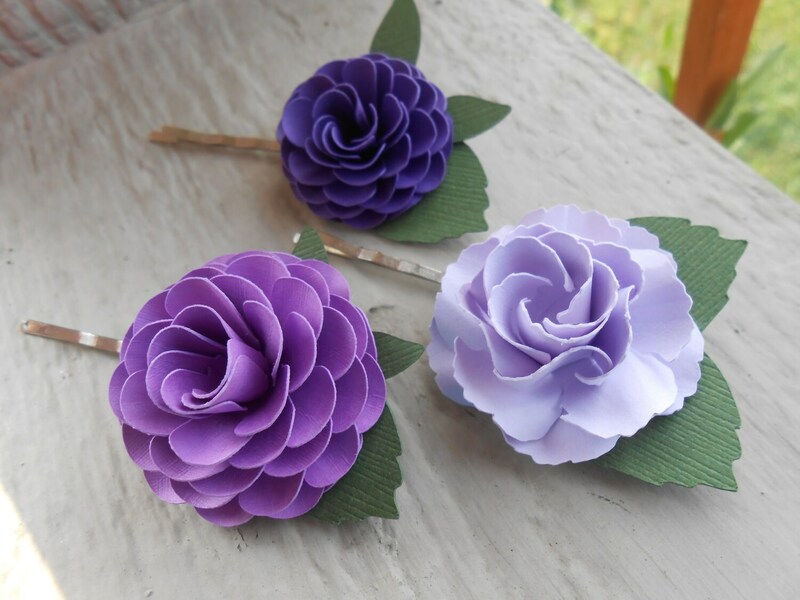 They are shown with a purple, a lilac, and a lavender flower. 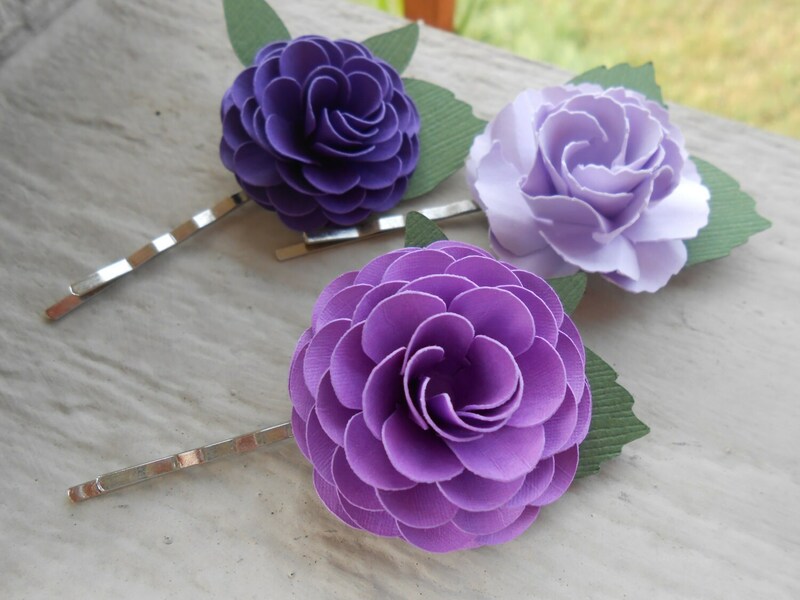 They are very lightweight and can go anywhere within your hairstyle! They measure about 3" long (with the bobby pin). The flowers are 1.5" and 2" wide. ---> Please leave me a note in the message box at checkout with the colors you want. Are you having a big wedding? I can do these in large amounts! I can also do hair wreaths, head bands, corsages, tiaras, and wedding bouquets to match. 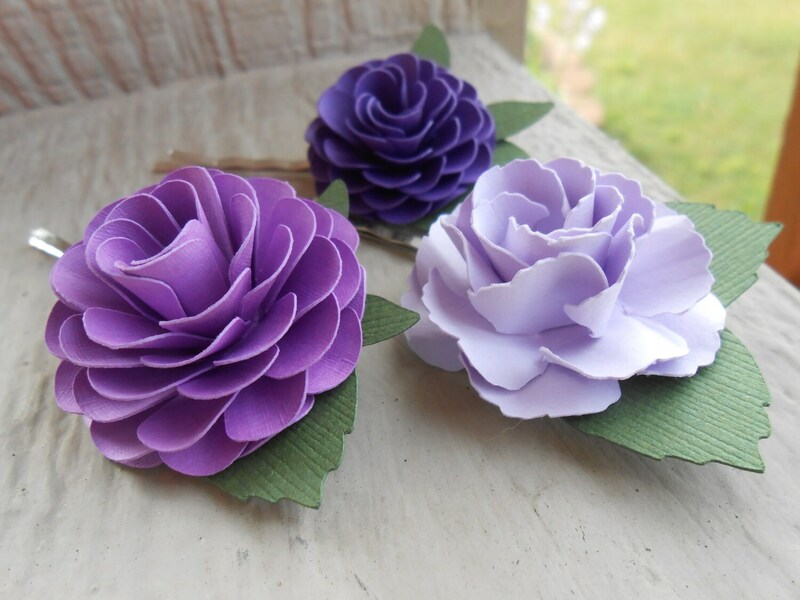 These also make wonderful gifts or favors at a shower. Please contact me with any questions or requests! I love to make things and custom orders are welcome.